The Rodale Institute is a non-profit organization that supports research and outreach on organic and regenerative farming. The institute's founder, J.I. Rodale, coined the term 'organic agriculture' and the institute's research has helped define the standards for it. On this call, they will share briefly about their work and about a new collaborative initiative with The Plantrician Project that seeks to connect organic agriculture to human health. The Plantrician Project is aligned with the “Food as Medicine” movement that seeks to prevent, suspend and reverse disease through sustainable dietary intervention through whole food, plant-based nutrition. 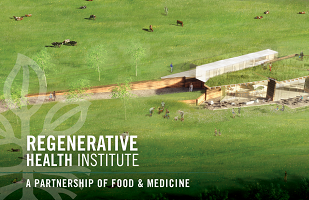 The Regenerative Health Institute (RHI) was founded in 2018 based on the conviction that healthy people need healthy food, healthy food grows in healthy soil, and when healthy food is produced in healthy soil the environment and resources are regenerated. RHI is a unique, collaborative partnership between the Rodale Institute and The Plantrician Project. Our vision is to create the first global educational hub that will demonstrate the intricate and inseparable relationships between agriculture, human health, and the environment.